- but alas, it's true. Want proof? Look at how I began this post. Obviously the copious spacing is completely necessary and not melodramatic at all. More proof? I'm now 4 paragraphs into this textual foray and haven't yet said a thing. Tricksy, eh? Like Smeagol. Alright. Enough idiocy, more investigation. Today's journalistic pursuit not only catered shamelessly to my desperate ego, but allowed me to construct the adorably quippy title of this wee rant. Candy-colored denim, people. And the truck was classy to the Nth. That being said, I would've taken anything from these "denim experts". Always trust a girl with polka puffs. Always. 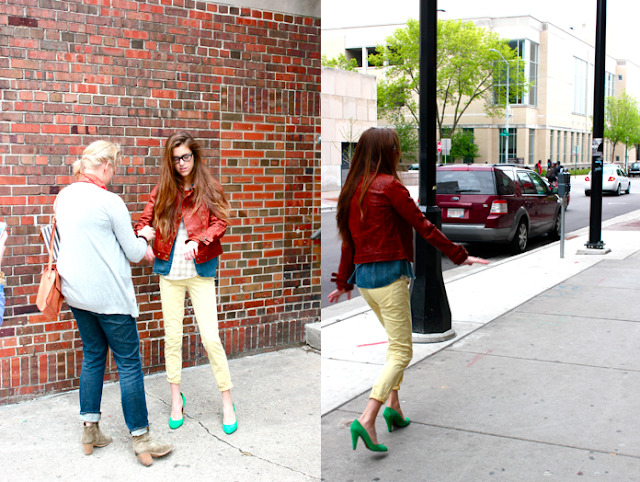 The Madewell Denim Road Trip styled Madison by storm yesterday - clogging up the sidewalk in the best of ways. The girls from Madewell treated every person who entered the truck like a princess by clothing her from head to toe in luscious Madewell garb and photographing her ceaselessly as she strutted her stuff. Her of course meaning me. "Strut" then meaning embarrassingly wobble, and "stuff" a Frodo-loving awkward-posing self. 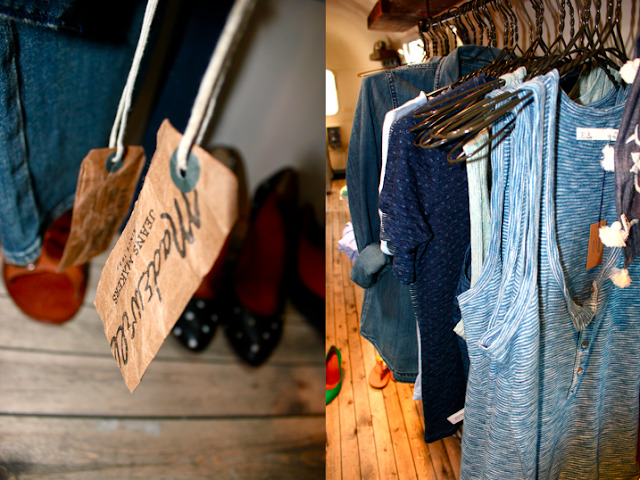 Their Perfect Chambray Ex-Boyfriend denim shirt and Mini Bag are now #1 and 2 on my fantasy wishlist, and I'm pretty sure Anastasia here already has an alarmingly large "shopping bag" including a certain pair of emerald suede pumps and neon skinnies over at Madewell.com. Did I mention that they had a "braid bar"? I may never shower again. Check out Madewell's Facebook Page for more info & to learn where they'll be headed next! Experience highly recommended for anyone seeking to fulfill requisite 15 minutes of fame without compromising future employment or political spouse. One for 40. Not bad. Special thanks, as always, to Anastasia. 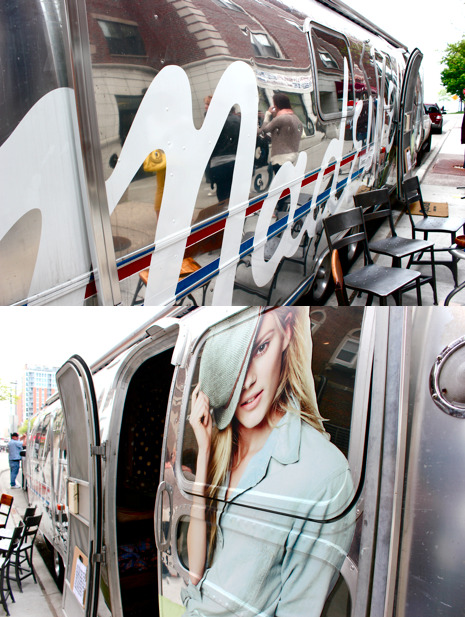 I can't believe you got to see the Madewell van so jealous! This looks like so much fun. what an awesome time. You're blog is so cute, and i LOVE the green shoes! xO!